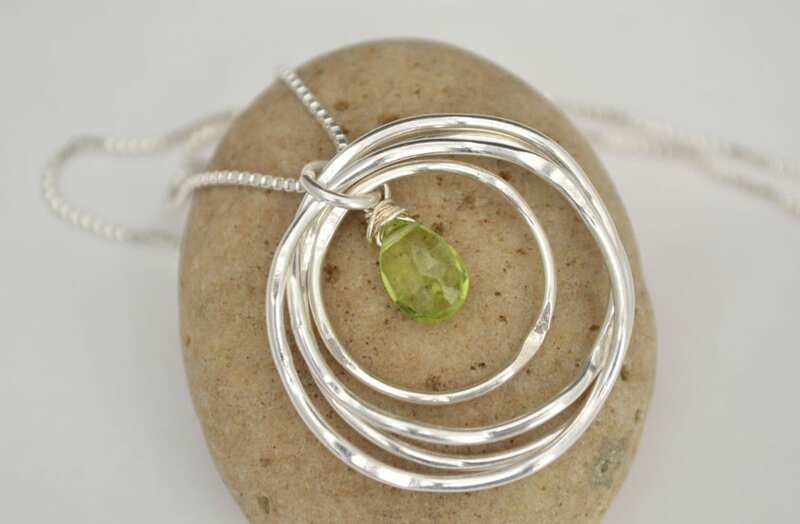 This cute design includes four silver hoops (3 same size, 1 a bit smaller) that form a necklace with a peridot quartz in the middle. 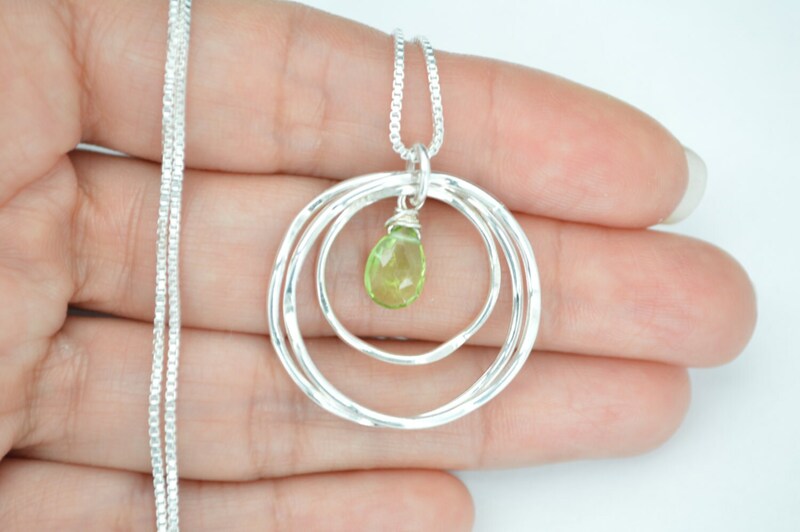 The hoops and the chain are made of sterling silver. 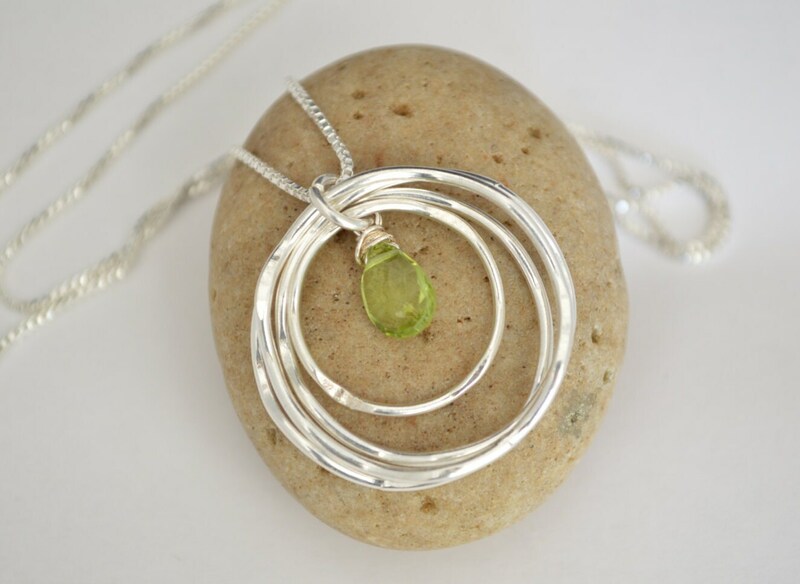 This necklace makes a great gift to celebrate 4 important milestones, friends, family or your own meaning! 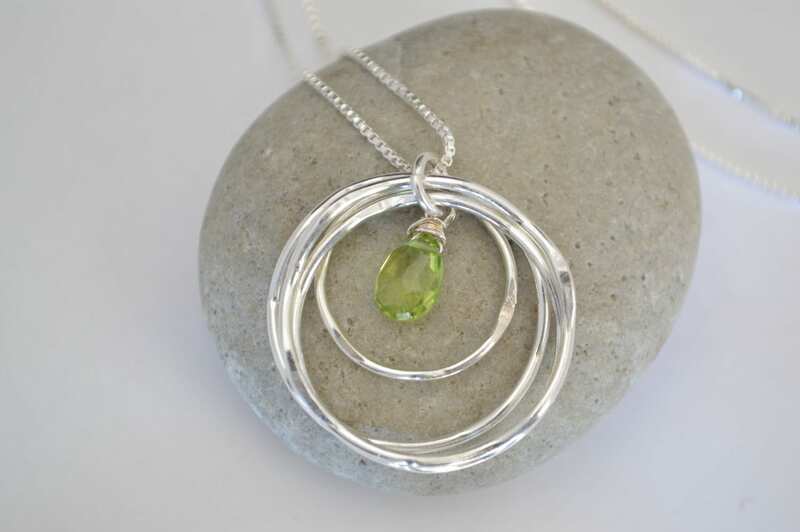 Beautiful necklace! Looks just like the picture. Thanks! Bought this AMAZING piece for my best friend for her 40th birthday and she loved it, as did I. Love the workmanship of it, I received exactly what the description said! THANK YOU!